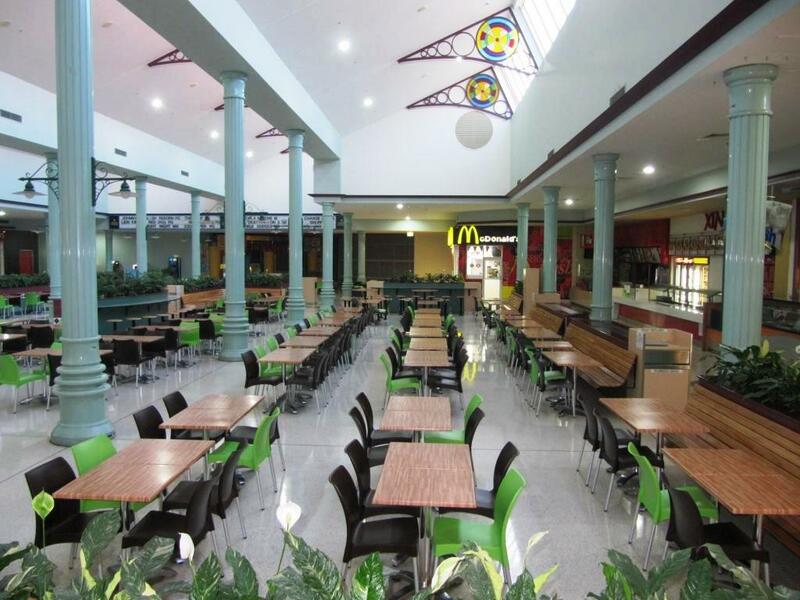 Located on Morayfield Road, right in the heart of Caboolture Shire, one of Australia’s top ten growth regions, and around 40 minutes by car from the Sunshine Coast and Brisbane. 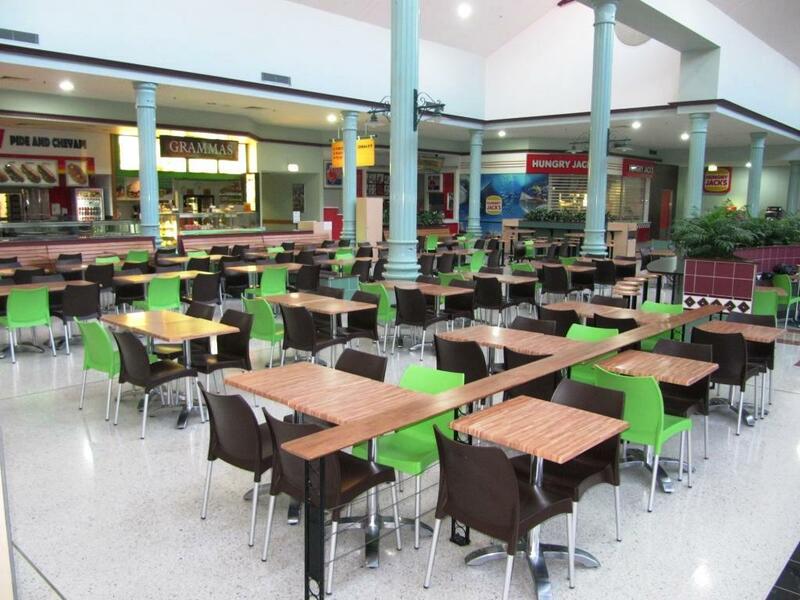 Morayfield Food Court was recently fitted out with a range of Nextrend’s durable hospitality furniture providing unmatched style and quality. 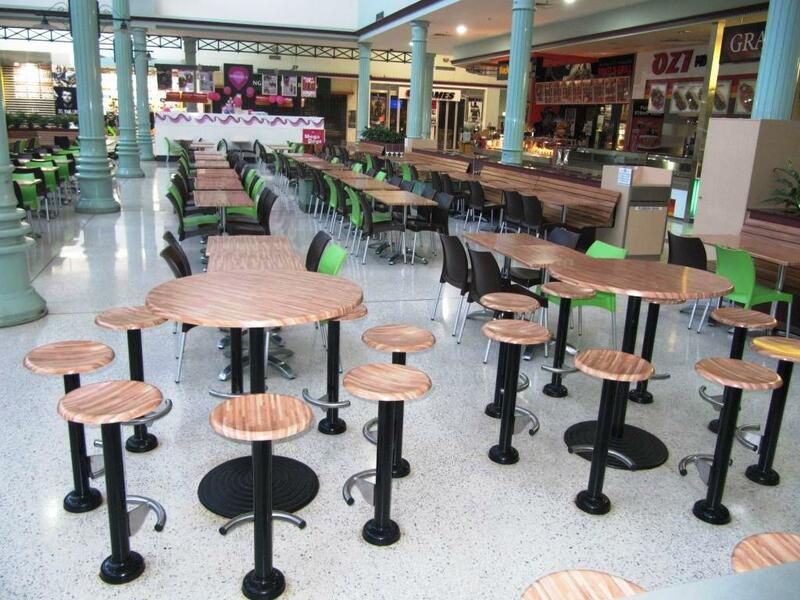 Nextrend Furniture provides large quantities of table settings to cater for comfortably seating many diners. 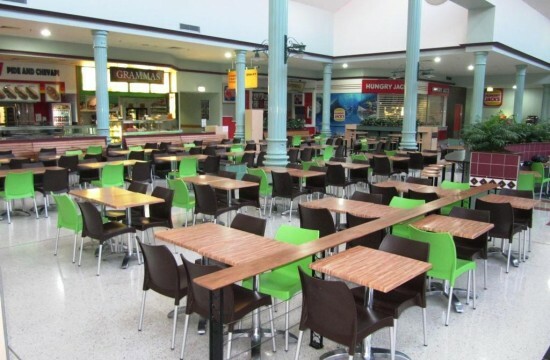 The commercial grade furniture offers a durability that outlasts the constant use that it is exposed to in Shopping Centres. 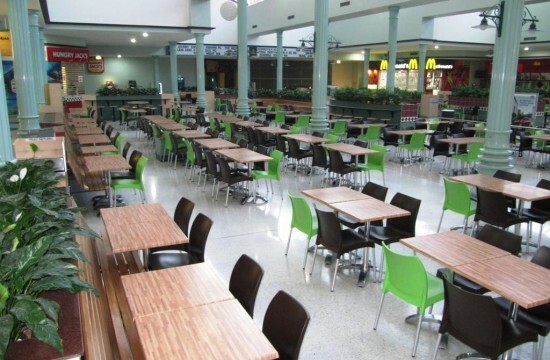 As you can see from the images bellow, the centre wanted to include a modern twist with the black and lime green chairs to supplement the wooden table tops. The chairs supplied were the Vita Chair. The Vita Chair is made using polypropylene which is durable, flexible, and contouring to the body shape. 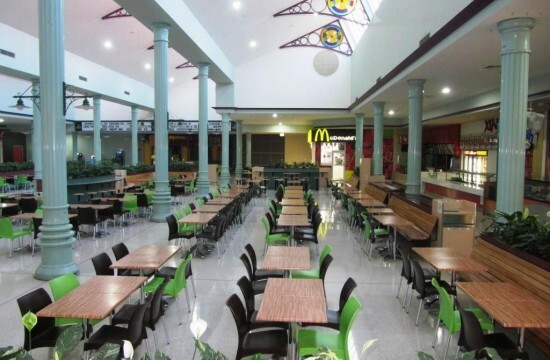 The innovative design offers both the cheaper options that last, and are comfortable for the patrons. The Vita Chair by Siesta has been tried, tested and proven in the Australian market for more than 10 years. It has exceeded all expectations with its long lasting durability. This chair will not disappoint you. 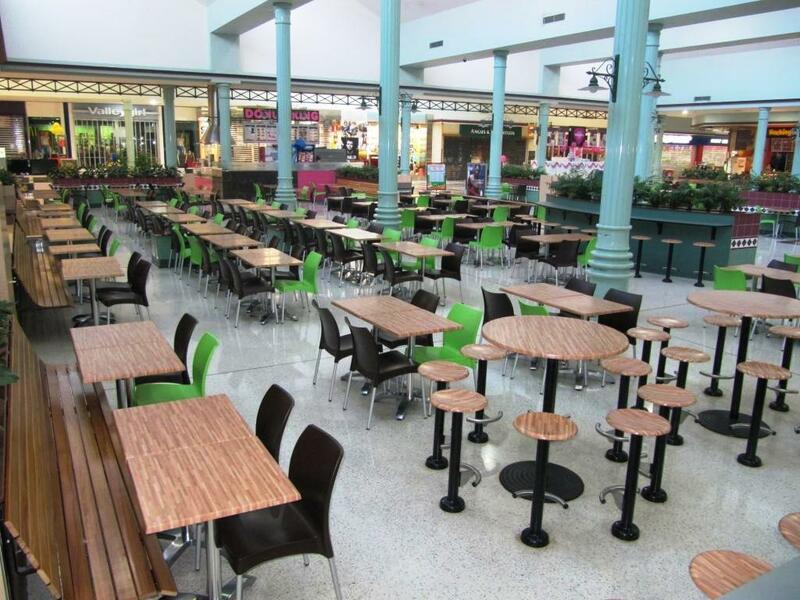 The wooden commercial table top supplied to the shopping centre was the Werzalit Gentas Duratop Table Tops. 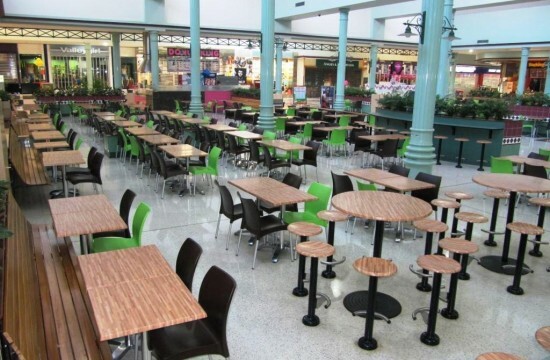 This selection of indoor furniture is one of our most popular. It can be supplied in a wide variety of finishes with a full 2 year warranty. The unique moulding process is uniquely made in Turkey and cannot be topped by many manufacturers. 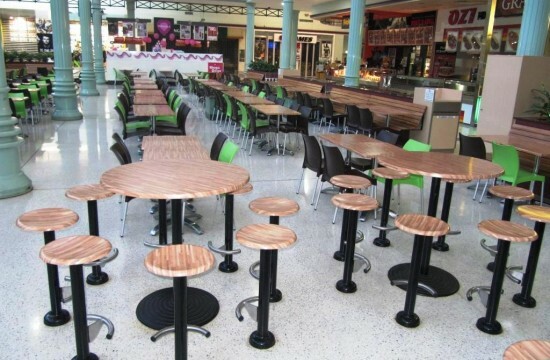 The foundation of each Werzalit Gentas Duratop Table Top is a mix of quality hardwoods and softwoods, kiln-dried and blended with synthetic resins as well as anti-rot and anti-moisture agents. This mixture is compressed at 140°C under high pressure before the hardwearing and decorative layers are applied and inseparably moulded together. 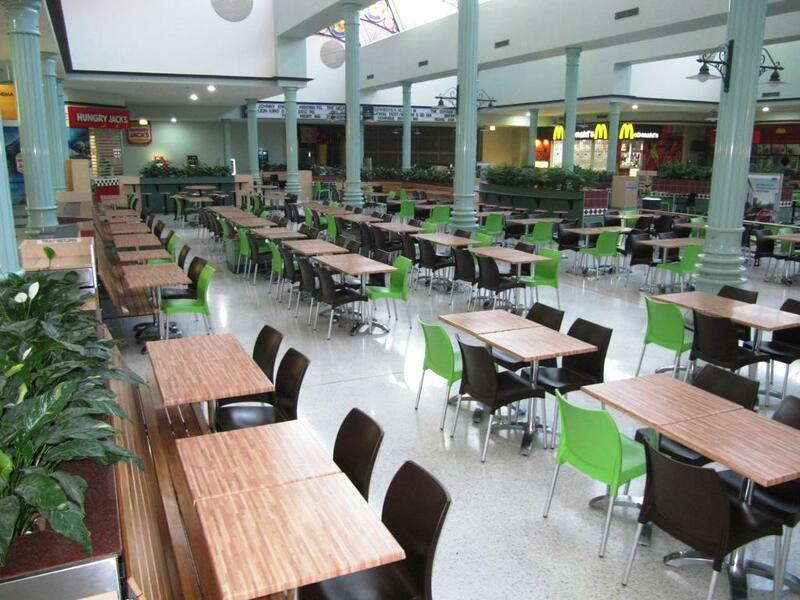 The range of sizes and adaptability of the furniture selection was the tipping point for Morayfield Food Court to fitout a full bulk order. The consistent colours offer a systematic setup that not many full service commercial wholesale companies can offer.